The International Federation on Aging and the World Health Organization Department of Ageing and Life Course are pleased to co-present the sixth instalment of the IFA/WHO Webinar Series. The webinar discussed findings from a survey done with planners and professionals on educational interventions towards greater integration of ageing in their work. Read more about the findings in this journal article (free access until 26 February 2018). 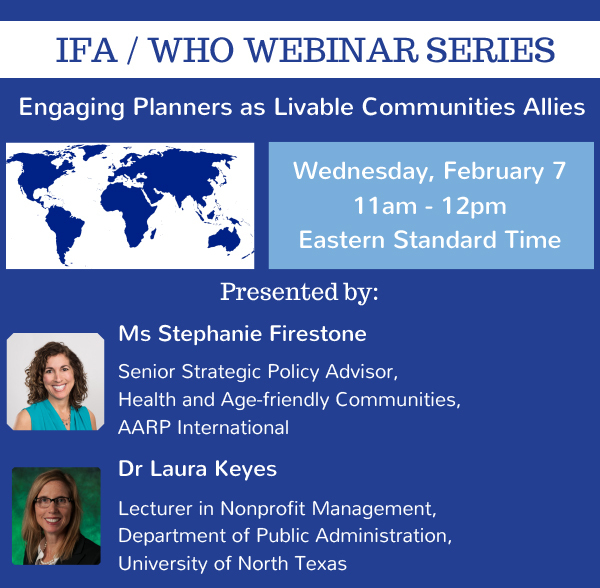 The IFA/WHO Webinar Series features experts from around the world exploring a number of critical and emerging topics on Healthy Ageing. 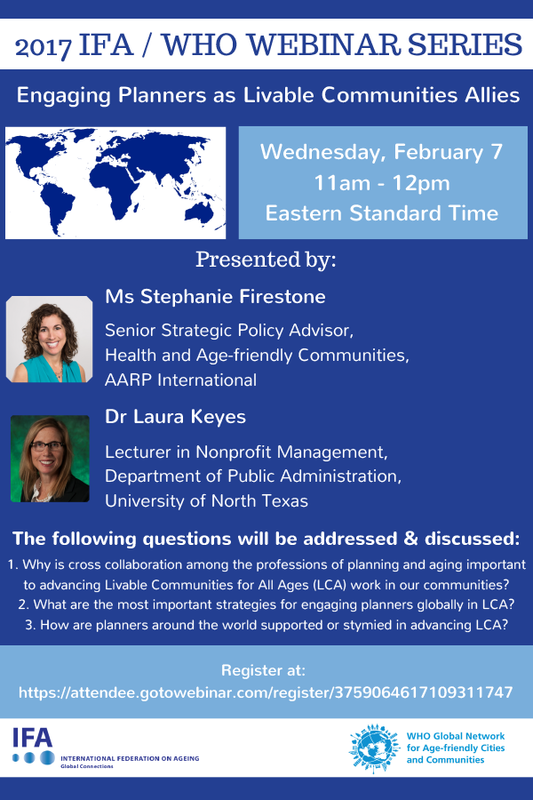 All attendees are welcome – older adults, local, regional and national government policymakers, NGOs, clinicians, urban planners, and all those with an interest in building age-friendly environments.